Are You Aware of the Mobile Web? What is the mobile web? I have never heard this term before I found an article about it. The mobile web is the next step in computing. There are expected to be more smart phones sold this year than computers. Vendors need to gear up to use the mobile web to sell their products. Knotice has produced an elegant whitepaper talking about how vendors can use the power of the mobile web. Over the next decade, the mobile Web will be a key conduit for your customer relationships, and foundational to your overall mobile strategy, the introduction says. The key for businesses? 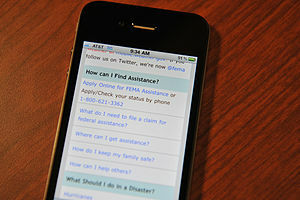 Using the mobile web in a purposeful and relevant manner to better serve customers.